Adventures in the Endless Pursuit of Entertainment: Doogie to Host the Tony Awards! Doogie to Host the Tony Awards! Okay, so he's outgrown the "Doogie" role, but I always love him as that lovable young dr. I saw him in Assassins, at Wall to Wall Sondheim and at Broadway Backwards. 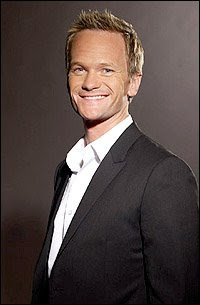 Neil Patrick Harris can sing, dance, act, is charismatic and is just as cute as can be. I can't wait to see him host the Tonys on June 7th!